Looking for a great personalized gift for a special guy in your life? 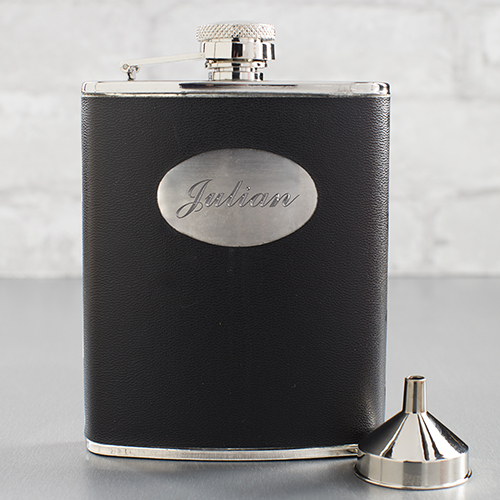 Check out this Personalized Black Leatherette flask with engraved name or initials. Our elegant custom flask will be skillfully engraved with any three initials or any name to make a great gift for the holidays, a birthday, or use as a personalized groomsman flasks. Flask was as described and the personalized engraving was icing on the cake. It arrived on a timely manner and it was exactly what I ordered. Very nice product! !